Although the addition of high quality wooden gates to either your driveway or garden will add security, increase privacy and provide increased aesthetic appeal, unless it is properly maintained you could find yourself in need of a replacement in less time than you might imagine. Year on year, a wooden gate is exposed to every type of weather imaginable leading to a degradation of the condition of the timber unless some kind of preservative has been applied. As such, when choosing a style it is essential that you carefully consider how much time you will have available to keep it looking in tip top condition. 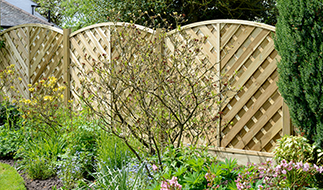 A new gate made from wood will need to be treated with a paint, stain or preservative before allowing it to become exposed to the elements. Rain can not only lead to unsightly stains on the surface that can be seen through the varnish but will also effect the wood even if only exposed for a short period of time. Apply a base coat of stain to all areas of exposed timbers and leave to dry. For the best results, check for runs whilst drying and remove where necessary with a brush. Once fully dried, using a fine sandpaper, rub the surface down lightly to provide a key for the first top coat of stain. Working methodically to ensure complete coverage, apply the first top coat of stain ensuring all areas are treated including the bottom. Set aside and leave to dry. Once fully dried, you are now ready to apply the final coat. Again make sure the entire surface is covered evenly and bristles or brush marks are removed as these will be visible once installed. Any timber gates that are currently installed will need to be maintained approx every 2-3 years to ensure the maximum possible lifespan. The process is pretty similar to the method of treating new timber however you will not need to apply the base coat stain. One major point to look out for when treating old wood is to ensure there are no areas of rot that will weaken the overall structure. Should any areas be found, it will need removing and filling with an appropriate filler, left to dry then sanded back to a smooth finish that is flush with the surrounding surfaces. In addition to staining or painting the timber, it is also advisable to inspect the condition of the hinges and fittings to ensure they are also in good working order. Should they be rust or have seen better days, it is strongly advised these be replaced for new items at little expense. Especially when you consider the hardware is the only thing connecting the gate to the posts. 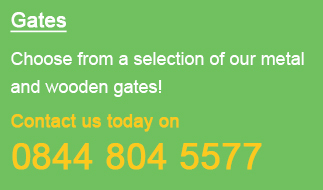 If you are seeking design ideas or are looking for wooden driveway gates or garden gates for sale make sure you take a look at our online shop where we offer a vast selection of high quality styles suitable for virtually all residential applications. Alternatively, feel free to call us on 0844 804 5577 and we will be pleased to offer assistance.